For small business owners, the Internet is a peerless resource stuffed full of expertise that can be used to influence their operations for the better. Even experts in their respective fields can benefit from keeping up-to-date with online resources, not least because best practices continue to change in perfect correlation with changing circumstances in the business environment. AllBusiness.com specializes in providing small businesses with resources that can be used to bolster their performance. Examples range from how-to articles to commentaries from experts in a number of business fields, ranging from finance to marketing and operations. LinkedIn Today is a simple tool that LinkedIn members can use to keep up-to-date with the latest news out of their respective fields. It tailors its content based on the information that your peers have been sharing, while providing the opinions of said peers at the bottom. Quora is a site that lets you send in questions and receive answers from some of the top names in their respective fields. Since members of the user base can vote for the best answers, you can feel more confident in the usefulness of the information that is presented to them. Best of all, Quora can cover a remarkable range of topics, letting it serve as a convenient, one-stop solution to your small business problems. Small Business Trends is an excellent resource that compresses news, research, and even business recommendations into a single package. You can use it to keep up with the latest events relevant to your business, while gleaning insight from the relevant experts. Of course, these are but a small selection of the resources that can be found on the Internet. Small business owners interested in reading more can find all kinds of blogs, ranging from those that cater to their specific fields to those that cater to small and medium-sized enterprises in general. It is with heavy heart I write this retirement and remembrance. Sid retired officially several years ago but wound up only cutting down his hours. 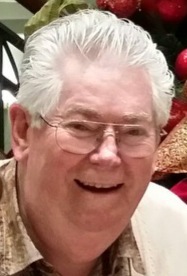 He wanted to spend more time with his charming wife Brenda, his lovely children and grandchildren and to travel to places we all dream about visiting. By reducing the number of hours Sid worked for ABA, we were able to still have the benefits of his generous work, even though remotely. Sid would come by the office and share a smile, drop off work, and catch us all up with all ongoing projects. We were able to keep Sid with us for these additional years because of his love for all of you in handling the employee website and his dedication to doing the absolute best job he could for ABA. It is rare to find many human beings with that much loyalty, dedication and respect for any company. Sid was that man. More and more, small business owners are allowing and even encouraging employees to work remotely as a way to decrease costs while still maintaining the levels of efficiency and competency expected by their clients. Some remote employees enjoy working from home, but for many, home offices are too distracting, between kids running around and televisions just sitting there, waiting to be watched. For these employees, a "co-working space" is the answer. A co-working space is a rented office shared by a variety of people working remotely for different organizations. It mimics the environment of a typical office: tables and workstations filled with people typing on their computers, water coolers and break rooms for when they need to take five. Such places allow remote employees to feel more like they're "at work" than they do when working from their bedroom, which in turn enhances their focus. It also allows them to socialize with other people rather than go stir crazy cooped up in their home. Make sure everyone can keep in touch. The simplest and most efficient way for remote co-workers to connect is to use an instant-messaging program, such as Skype or Google Hangouts. Leave the programs running throughout the day, and your team members can contact each other at a moment's notice, with zero lag. Monitor their work. It's a lot easier to goof off if you're not worried about your boss looking over your shoulder. Luckily, there's still a way management can stay in the loop: by using a remote network. This allows employees to connect to your office's computers from any decentralized location, giving them access to any shared files they need, and also giving you the chance to make sure they're staying on task. Encourage them to bring headphones. Co-working spaces bring the same distractions as the corporate HQ--people talking all around them. One way to circumvent this is to listen to music on a phone, or even download a white noise app that blocks out the sound around them. Working with remote employees has a number of benefits. People feel more satisfied with their jobs when they're allowed greater flexibility--and higher job satisfaction leads to greater productivity and retention. Once you get past the how’s of structuring your co-working space, you should find that remote employees are efficient and easy to work with. 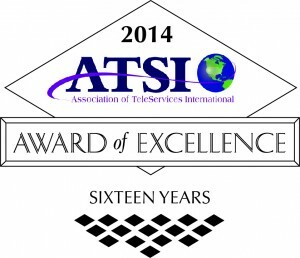 A Better Answer has been awarded the ATSI 2014 Award of Excellence for the 16th consecutive year! Independent judges evaluated our services over a 6 month period and found our outstanding customer service was award-winning - yet again! The Association of Teleservices International's Award of Excellence is the most prestigious recognition in our industry. Thank you to all of our ABA employees! Telephones are central to modern life – not only are we constantly glued to our mobile phones, but much of our personal and business dealings are dealt with through a call center. We take the ability to pick up the phone, or indeed make a call through our computer completely for granted.